PlayStation brand to combine with powerful smartphone? Sooner or later, it seems clear the PSP will morph into a high-end phone. Whether we take our rumours with a pinch of salt or not, we certainly have a duty to listen closely to them when they concern something as highly likely as Sony doing the expected and creating a PlayStation-branded mobile phone. Talk of a PSP phone has been doing the rounds for months, particularly since the iPhone launched, mainly because so much about it makes sense. The latest person to come to that conclusion appears to be Sony Computer Entertainment's COO Jim Ryan. 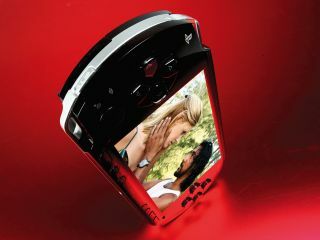 According to the Economic Times, Ryan practically confirmed that the company is working to make the PSP phone a reality. He said: "The PlayStation is a proven success and so is Sony Ericsson. Convergence with the two arms working together is definitely plausible. It is hugely intellectually seductive to have a console-oriented phone." Of course, that doesn't mean the engineers can actually come up with a phone that delivers a gaming experience of the quality needed to compete in that arena - just ask Nokia's original N-Gage creators. Building a device that is small but powerful enough to compete in the smartphone market - something it will surely need to do - yet has a big enough screen and the requisite controls and media options to satisfy gamers is obviously a very tall order. Still, that old patent Sony filed for a similar-sounding device six months ago now sounds a lot less vaporous with the words of a Sony bigwig behind it.